I slammed on my brakes and backed up, giggling to an extent that Wanda was worried for me. 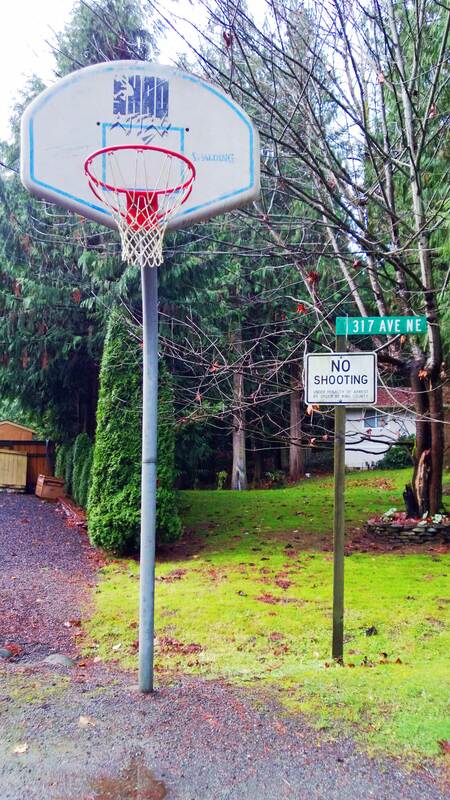 Why even put up the hoop? 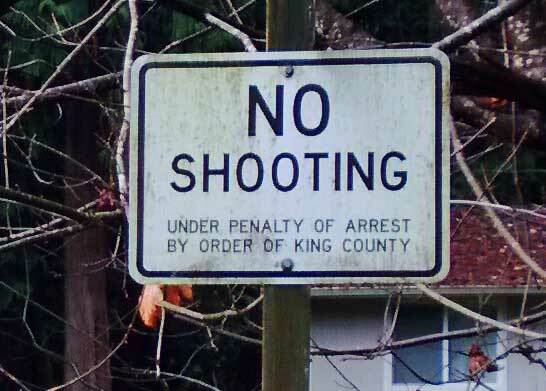 The poor teenage boys in this neighborhood. It’s like lining Wanda’s bed with marshmallows and then telling her that if she eats one, we’ll sell her to the Dursleys. Not cool Carnation. Totally less than cool. 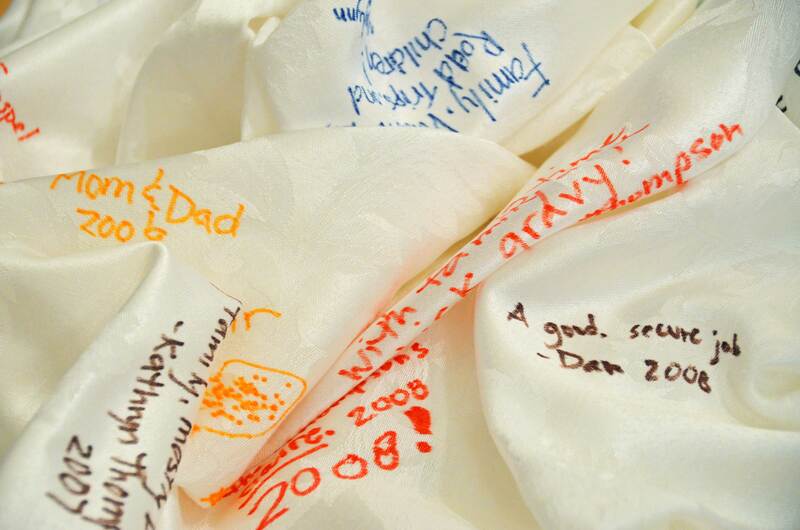 Every year at Thanksgiving, I pull out this white tablecloth and we each write one or two things we’re most thankful for that year on the cloth with fabric markers, followed by the year and our name. If friends or family are visiting for dinner, they get to leave their grati-fiti as well. Over the last six years, it’s become a treasure and a time piece. We can see who we were with and what things were on our minds and hearts. If our house were burning down, I’d put the Thanksgiving tablecloth right up there with family photos and passports on the list of things to rescue. 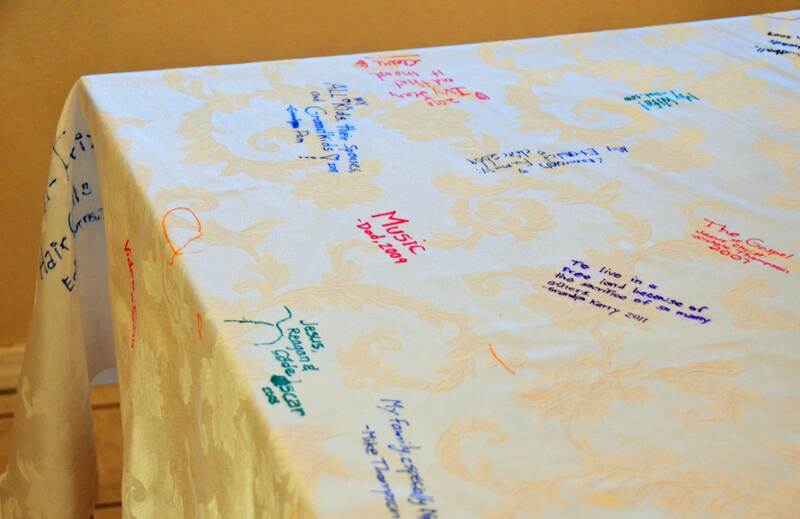 It’s not too late to run out and get a white tablecloth. You can start the tradition this year. If you do, don’t forget to iron the ink into the cloth before washing it, and to avoid washing it more than once every few years, be sure to buy a clear plastic cover to go over it while you eat. We used to slide our ballots into electronic vote-counting machines. Several years ago, King County moved to an absentee ballot system to save money. I miss the camaraderie of standing in line at a fire station with my whiny kids and a bunch of other concerned citizens, voting for our future. At this point, I have two voting options. I can mail my ballot by Election Day, or I can drop my voting envelope stamp-free into one of several county ballot boxes. The ballot boxes are big and metal and look like library drop-boxes. They look secure. They look official. 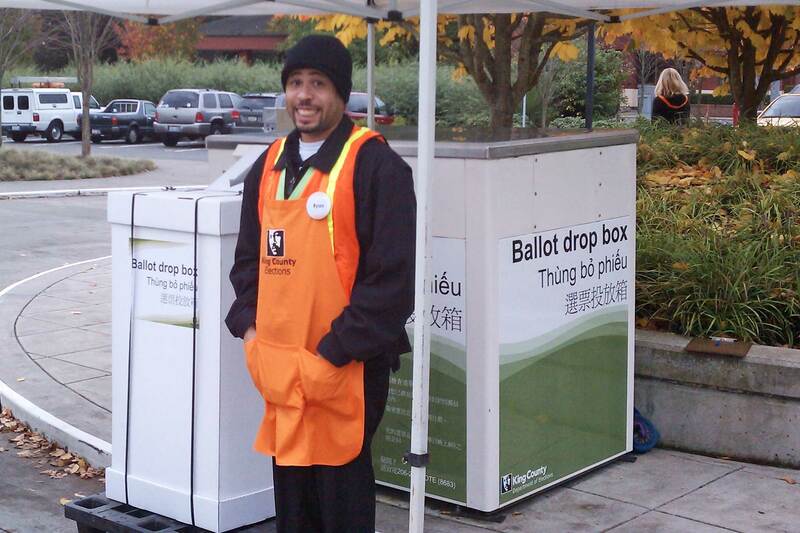 Today, as I pulled into the turnaround at Redmond City Hall, I was greeted by several orange-clad election officials, waiting to take my ballot and put it in… the cardboard box placed in FRONT of the big, official metal drop box. That’s right. I put my voting envelope into a highly secure, highly official-looking cardboard box. Does this look fishy at all to you? I woke up this morning, realized what day it is and found myself overjoyed that today is Election Day. It is one of my favorite holidays because today the robo-calls will stop. Thank you, Santa. Best present ever. Magoo thinks we should vote for Romney because he has better hair. I think President Obama has better (read this: more Dan-like) hair but that doesn’t mean I’m voting for him. This afternoon, when talking about the election, I accidentally referred to the winner as President Obomney. We’ll see how it goes. May all your fondest election dreams and wishes come true.